Through a rich interweaving of reportage, historical narrative, and powerful analysis, Nathan Thrall presents a startling counter-history. He shows that force—including but not limited to violence—has impelled each side to make its largest concessions, from Palestinian acceptance of a two-state solution to Israeli territorial withdrawals. This simple fact has been neglected by the world powers, which have expended countless resources on initiatives meant to diminish friction between the parties. By quashing any hint of confrontation, promising an imminent negotiated solution, facilitating security cooperation, developing the institutions of a still unborn Palestinian state, and providing bounteous economic and military assistance, the United States and Europe have merely entrenched the conflict by lessening the incentives to end it. 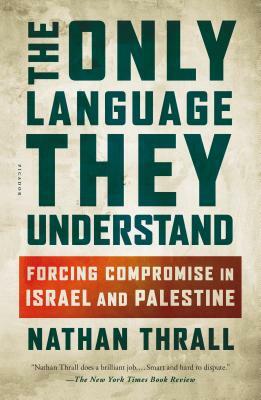 Thrall’s important book upends the beliefs steering these failed policies, revealing how the aversion of pain, not the promise of peace, has driven compromise for Israelis and Palestinians alike. Nathan Thrall is a writer and leading analyst of the Arab-Israeli conflict. A former staff member of The New York Review of Books, he joined the International Crisis Group in 2010 as senior analyst covering Israel, the West Bank, and Gaza. He is a regular contributor to The New York Review of Books, The London Review of Books, andThe New York Times, and his analysis is often featured in print and broadcast media, including The New York Times, The Wall Street Journal, The Washington Post, The Economist, The Financial Times, Time, the BBC, Democracy Now!, NPR, and CNN. He lives in Jerusalem with his wife and daughters.